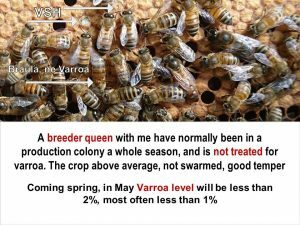 This entry was posted in Breeding, Elgon, Featured, Feral bees, Microbiom, Treatment free, Varroa level, Varroa reinvasion, Varroa resistance and tagged alcohol wash, locally adapted bees, varroa resistance, virus resistance by Erik. Bookmark the permalink. This is really wonderful and good strategy. I tried to do a cooperation myself but realized that treatment free opinions differ very much. 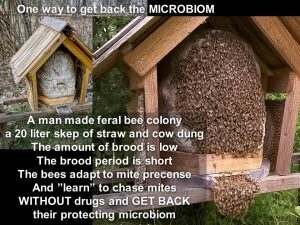 Those who do the “live and let die” approach in my crowded environment which is flooded with hives, have no success if they are surrounded by beekeepers who treat prophylactically several times in season and therefore breed stronger mites and more virulent viruses. It´s mostly the drone influence and silent robbing that waters down the defense or the colonies that crash in season and spread mites from the surviving bees or are robbed. 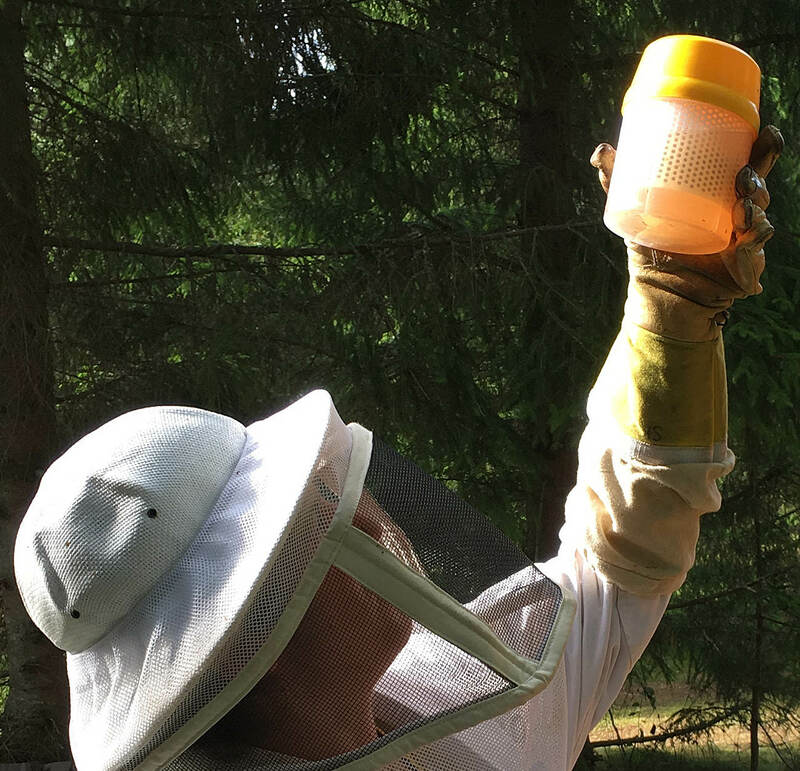 Mostly some beekeepers believe they could stop treatments completely without regression and are disappointed. The use of more resistant stock for a start, which will then live long enough to adapt to the local circumstances and hopefully develop some epigenetic behaviour in the long run is much better, be it stock out of survivors or bred stock. Myself I have seen this regression happen. One of the queens went into her third winter untreated now ( elgon F1), and I have a “feral” hive (AMM) like the skep mentioned above which survives now for two seasons without being checked, enclosed by many treated colonies and with a mite drop I will never tell anyone about (but no defect bees observed). 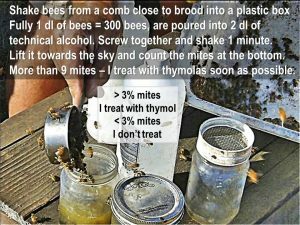 The treatment free interested were told that treatments are much more dangerous to the bees than the mite but at the beginning of selection, may it be natural or artificial , that´s not true. Here one can be lucky to not have 100% loss if treatments are stopped abruptly. Our bees must become like ferals , and change from weak livestock to bees which can defend themselves against pests and watch out for dangers of brood disease, cleaning up a comb. Regression in my eyes means to move to small and natural cell size, leave some honey, propagate microorganisms, start to have your own wax cycle to have foundations without contamination , a more natural hive configuration, a more natural orientated multiplying and many more….important too the hive air which contains the pheromones to communicate, which needs no disturbance. I had the bad experience that a co-worker who got two splits just left them alone thinking they should make it on their own, but we had a drought and they starved and were robbed and killed. So there is the need to find some co-workers who are just as enthusiastic and careful as you are if you start such a project. And find an isolated mating place to mate among all treatment free splits to preserve diversity. Now, preparing for my first speaking I hope I will find them among the treaters as among some friends. I have no treatment free beekeepers directly near. My offer is to care for the selection so they might care for the honey harvest they need for their income and let them try my queens. Fear of loss is still a problem, but to have someone or a small group which breeds from two winter and three seasons survivors and gives those queens like a “hobbyist quest” to beekeepers who treat but are sick of it might be a goal. Yes, we are happy in our association for the good situation among us. But it didn’t came overnight. It has taken many years to achieve this. You have begun on a good path and achieved a good result, that’s my impression. The situation is different in every location. You have to adjust to the situation at hand. Coming year may show you new opportunities in more than one way. New insights that open up new ways to do things. New neighbors to cooperate with. New beekeepers to exchange breeding material with. New enough isolated area that can be used as a mating station, etc. 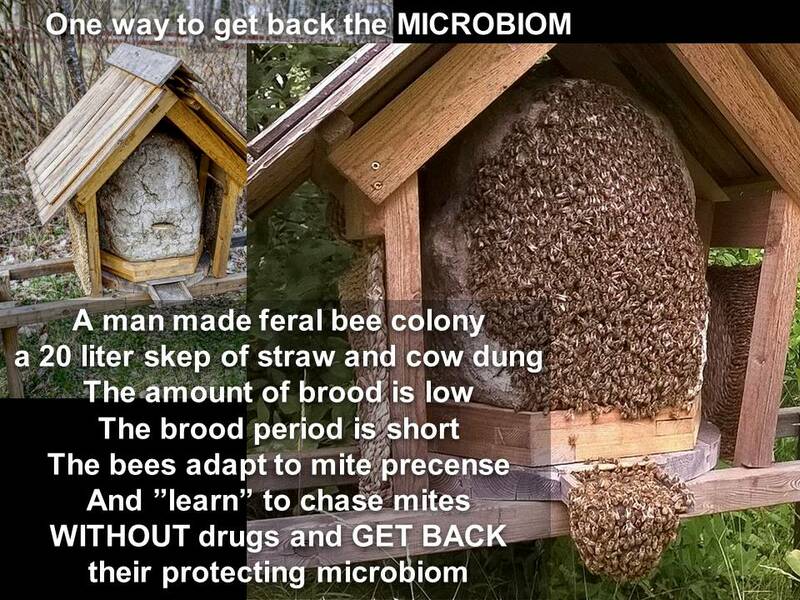 You mention some achievements to continue working with, the AMM feral hive for example, which seems very virus resistant, probably due to two things, genetic virus resistance and renewed microbiom which has strengthened the immunsystem and keeps the microbes in balance. 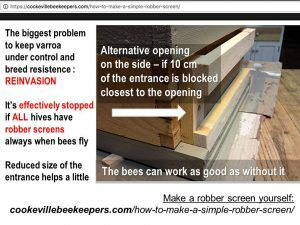 You are well known and prominent but I´m not, so I hope to find well known bigger beekeepers who are interested and might try a new approach making it public. So I´m very happy you permitted me to use the pictures and informations on your website and from the weeks I spent working with you in sweden. 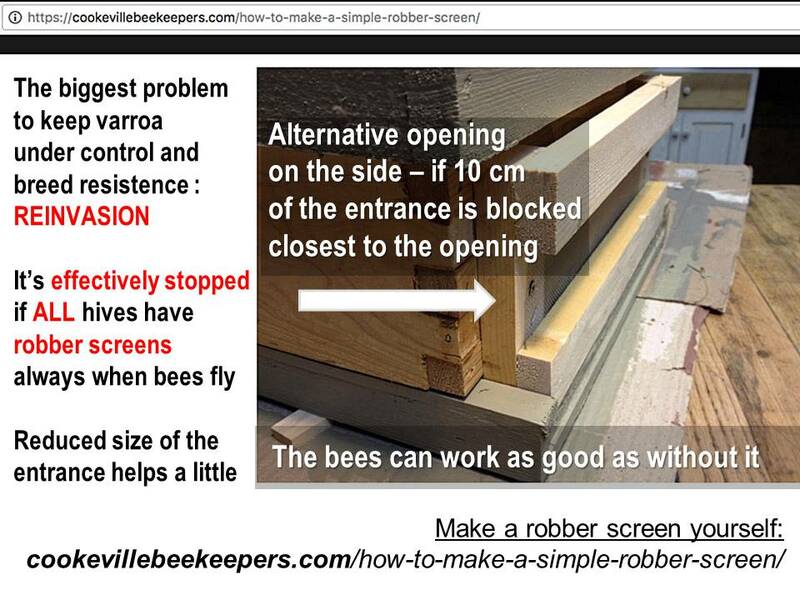 It´s fine to see tf beekeeping working without high losses and with a good honey harvest and working together, sharing. It´s an example. Perhaps my future speakings will start something and boost a cooperation. It´s important not to exchange ideas on forums all the time but have it leading to something. It takes courage, but it must be practical beekeeping like in sweden, not theories alone.